NOW OPEN IN SPOKANE, WA! Otter Self Storage aims to ensure that the renting process is straightforward and stress-free. Rent a unit 24 hours a day online using your smartphone or right from your desktop computer! There’s never a wait and we have the best prices in Spokane, Washington! 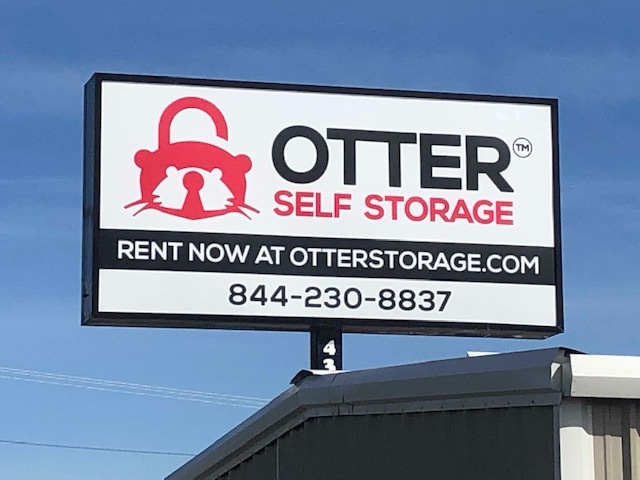 Otter Self Storage is located at 4309 South Grove Road in Spokane, Washington 99224. Our facility is less than 0.5 miles from I-90 and US 395. Find us just 1 mile away from Spokane International Airport. We help support several local Colleges and Universities including Gonzaga University, Eastern Washington University, Washington State University Spokane, Whitworth University and University of Washington. Fairchild Air Force Base active military and personnel are always welcome! Anyone in need of extra space in Airway Heights, Spokane Valley, Geiger Heights and other surrounding areas are a quick drive away from us. If you need a unit this is the place, Jeff is awesome and very thoughtful. They have a wide variety of unit sizes and everything you need to move. I was sad when we moved our stuff out but I would highly recommend. Gate access hours for you are 6am - 10pm. Please don't hesitate to reach out to our Otter Call Center standing by to assist you in your storage needs! It’s essential that your belongings stay in the best condition year-round and with varying temperatures throughout the winter, spring, summer, and fall months, our temperature controlled units will protect everything you store from inclement hot or cold weather. Since these units are enclosed, bugs, rodents, and other pests won’t be a threat. We have plenty of space to store household items, clothes, electronics, business related items, and much more. We even have parking spaces for RVs, boats, cars, trailers and other types of vehicles. It doesn’t matter how Long you need a space, Otter Self Storage is the perfect place to protect your vehicles during the off-season or in between travels. Rent a unit today!